Year after year, there is a flurry of excitement leading up to the Kentucky Derby, with an endless series of parties and celebrations. It is the one American race that inspires the spectacle and pageantry of a bygone era. In 1875, Colonel Meriwether Lewis Clark Jr. fashioned the Derby after glamorous European horse races. These races required full morning dress for all who attended. The high society women of the day came to the Derby to debut new spring fashions – especially hats. These women were invited to the race as part of Clark’s strategy to brand the Derby as an upscale event. In the 1960’s television gave women a reason to go all out with their hats, which deepened the “see and be seen” culture. Unlike the Royal Ascot races, which restrict the size and type of hat for adult women (fascinators are not allowed! ), there are no hat restrictions for the Derby. Hats bring good luck to the race, so let your imagination run wild when choosing or creating your hat. Men also put on their Sunday best for race day, wearing bright, sunny colors, and donning a bow tie and fedora, bowler, or a natty straw Homburg or boater. Invitations reveal the color scheme for your Derby Party, as well as what kind of party it is – a brunch, backyard get-together or formal event. Send your invitations well in advance to give you and your guests plenty of time to plan for race day. Atmosphere lies at the heart of the Kentucky Derby. 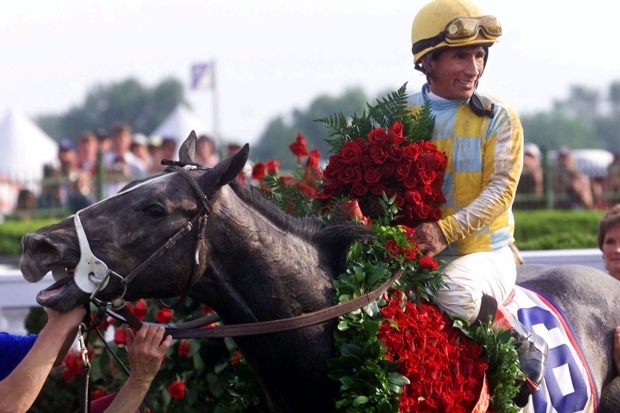 In 1904, the red rose became the Derby’s official flower. Any red rose will work, but for authenticity, use red Freedom Roses, known for their rich, bright color in your décor. If you need inspiration for your party’s color scheme, look to colorful jockey silks. Freeze rosebuds inside ice cubes, and use them to fill the champagne bucket. 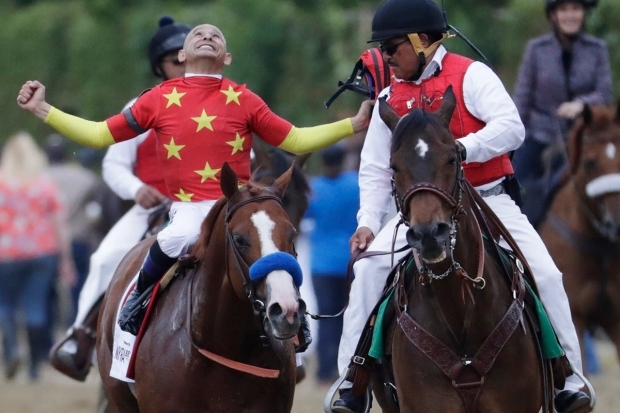 When the Derby winner is announced, pop open the bottle to celebrate! Decorate the bases of wine glasses with miniature hats for the ladies and bow ties for the gents. Fold napkins in the shape of a bow tie, using bright colors that coordinate with your party scheme. Dress up your drink stirrers with miniature hats and bows of ribbon. Use a lavishly decked-out hat as a table centerpiece. Photos — Rent a photo booth for your party, or create a picture perfect backdrop with playful props. Take photos of guests in their race day finery, adding trophies, riding crops, fascinators and clip-on bowties as photo booth accessories. Get some giggles out of your guests with a life-size horse and jockey cut-out for their faces. Make your party’s hashtag part of the display. Crafts — Little Derby party guests and adults will have fun crafting hats out of paper plates, ribbons and flowers. Corn Hole is an all-American way to bring guests outside for some competition. Customize your Corn Hole board for the Derby. Play some rounds of Horseshoes to get in the Derby spirit! 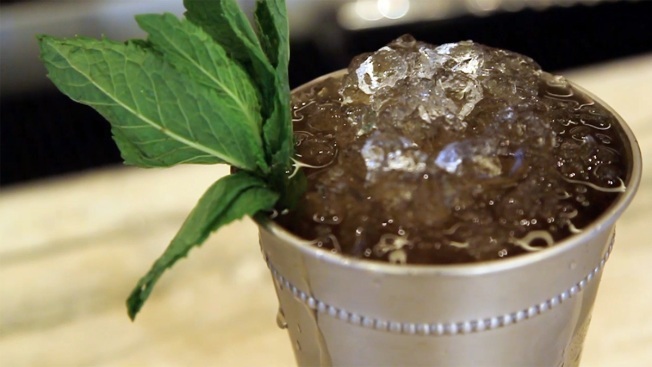 Prizes — Trivia winners of all ages can receive a virgin “Mint Julep” – pour Junior Mints in a traditional silver mint julep cup, and top it with a sprig of mint. Tradition — As the horses parade to the gate, sing along to “My Old Kentucky Home” with the band and audience on television. Then my old Kentucky home, Good-night! Weep no more my lady.